PF Olsen contributed to the process and cost of a recently published Economic Impact Assessment (EIA) of the forest industry in the Gisborne Tairawhiti Region. 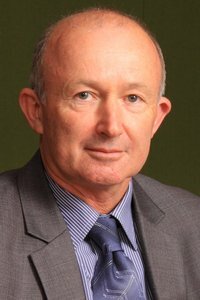 The Institute for Business Research University of Waikato was commissioned by the Eastland Wood Council (EWC) to research and prepare the EIA. This research organisation had the skills for the job and, importantly, independence from the forest industry. This was a deliberate choice to boost the credibility of the research findings and assist them to reach a wide audience. The EWC is a trade association formed by the major commercial forestry, wood processing and distribution interests operating in the Tairawhiti Region. It represents its members' common interests in a range of areas where the objectives of the group can achieve more than individual members working alone. PF Olsen has been a member since the inception of the Council and has undertaken various roles within the organisation. To enhance the business environment for commercial forestry growing in the Gisborne and Wairoa district. To establish a collective voice of the forestry industry with a view to achieving the industry's aims collectively rather than individually. To engender political and community support for the forestry industry within both districts. While the above is not the full list of EWC objectives, having independent data and statistics in regard to the contribution that forestry plays in the region is highly valuable to all forest owners and investors. It is now difficult to refute the role of forestry in the region. The report summarises the economic, social and environmental benefits in an easily accessible document. The report will be used by the EWC and its members to support lobbying with both local and central governments. Additionally, the EIA will be an important document to support major resource consent applications where economic and social benefits are considered. An example of this is the resource consent required to increase the log storage yard for Port Gisborne, an essential project to handle the increasing future harvesting volumes. In 2011/12, the direct value of forest production (excluding processing) was $225 million from 154,000 hectares. Significant economic flows are associated with wood production, harvest, transport, port handling and processing activities and the expenditure of wages and other forest income. Backwards and forward linkages generate a multiplier of 2.7 and result in additional activity estimated to contribute a further $383 million annually to the regional economy. The forestry sector currently employs 1,610 FTE with approximately 1,035 FTE in the forests and 320 FTE in processing, 145 FTE in transportation and 80 FTE at the port. This is approximately 10.3 per cent of the regional workforce. The sector is an employer of similar size to manufacturing, construction, health and business services combined. More than 350,000 hectares in the region is used for sheep and beef farming. The direct value of production from this land was estimated to be $206 million in 2010/2011. Additional value of more than $350 million is derived from meat processing and indirect expenditures in the region. Revenue from sheep and beef farms plus those from 7,500 hectares of horticulture and nearly 2,000 hectares of grapes ensure the region is not a "one industry" location. In 2000 the forest harvest was 0.6 million tonnes and this has grown so that by 2012 it had reached 2 million tonnes. It is expected that in the decade to 2020 annual log exports will have grown a further 60 per cent. The existing forest stock provides a platform for growth and the potential for harvest of 3.2 million tonnes annually by 2020. Assuming the same economic structure of the industry, this growth will bring an estimated 630 new jobs into the region and increase export earnings. The growth will have positive flow on effects to associated sectors such as the port, transport and machinery services, and also creates a platform for the development of the wood processing sector creating and exporting higher margin manufactured wood products. Forestry plays a very significant role in maintaining land through the prevention of slips and erosion that damage both hill country, lowlands and infrastructure. Although difficult to assess, the economic value of this contribution is expected to run into hundreds of millions of dollars. Research at Scion has shown that erosion avoided by afforesting erosion-prone land is estimated at $1,000/ha. "We are pleased that this research has quantified the economic contribution of forestry to the region", say Nick Bunting, PF Olsen's Regional Manager based in Gisborne. "Even without including the economic value of erosion avoided, forestry's contribution is significant. On a per hectare basis, the study estimates forestry (excluding processing) directly contributed $1,461/ha in 2011/2012. This is nearly 2.5 times that estimated from sheep and beef farming (again excluding processing) at $588/ha in 2010/2011." "The exciting thing", continues Nick, "is that harvesting is forecast to increase by 60% to a level of 3.2 million tonnes annually by 2020. At this level, the economic contribution both in absolute terms and per hectare will be spectacular and should be recognised by land users and administrators when making investment decisions and public policy." An abbreviated copy of the EIA can be found here Eastland Wood Council Reports. 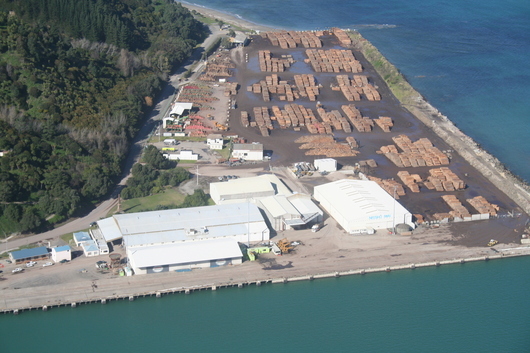 Gisborne port is one of the top three log export ports (by volume) in New Zealand. Whilst increased wood processing in New Zealand is highly desirable if it stacks up economically, the economic contribution from forestry and harvesting alone is considerable, and much higher than sheep and beef farming per hectare of land used.